Over the past few years, I have had many requests for a mix recipe which will replace boxed “Bisquick”. I had never used bisquick very much before we started our healthy eating journey, therefore I didn’t know that I’d have much use for a healthier version. And so, this recipe request continued to get pushed to the bottom of my “to-do” list. For shame. I didn’t know what I’d been missing! Last summer, I finally gave this recipe a try. Once I figured out the right combination of ingredients, I learned that it takes just a few minutes to put this mixture together. And the recipes you can quickly whip up once you have this convenience food on hand? Every single one we’ve tried has been a hit! I love this! It is inexpensive, is made with real ingredients I feel good about feeding to my family, it saves time, and the food prepared with it tastes great. Does it get any better than that? In a large mixing bowl, mix together flour, baking powder, sucanat and salt. Thoroughly cut in palm shortening until mixture resembles fine crumbs. 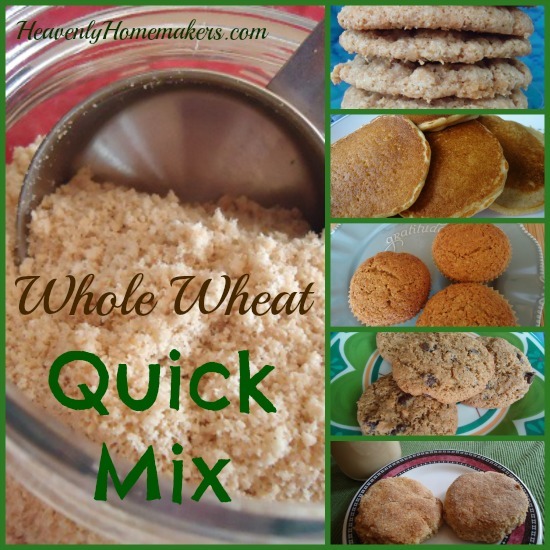 Store Whole Wheat Quick Mix in an air tight container in the fridge or freezer. Here are several of the recipes you’ll find here at Heavenly Homemakers to use along with the lovely mixture you just put together. Think of how much time and effort you’ll save! Beyond those, I’ve come up with a pie crust, waffles, and more muffin and cookie recipes. I’m telling you, this mix is so versatile and easy. It’s recipes like this that make my Oh, For Real! Real Food, Real Family, Real Easy book so much fun. It’s all about making your life healthier and easier. Anytime you can take one recipe and adapt it to make many other healthy food recipes, we have a winner! Like what you see here? We’d love to get to know you better! Subscribe to receive our daily posts in your inbox for free! Subscribe to receive one email per week with all the content here (also free!). Looks awesome! My husband does breakfast so if I prepare this for him he will love me! Very vanilla cookies! Pick me pick me! Thank you! Perfect timing, I was just looking for a homemade Bisquick recipe a few days ago. Can’t wait to see all the recipes. Are you planning on trying to make dumplings with this? I used to make dumplings with bisquick and recently tried a whole wheat version I found on-line. I wonder how this quick mix would do for that? I love this. Most recipes usually call for a milk powder of some kind. Do you find you have to alter regular bisquick recipes since your mix doesn’t contain the milk? Hmm, good question. I have just been working with my own inventions, and haven’t used any actual bisquick recipes to know if they would work or not. I think they would though! yay! just pinned it! biscuits pretty please! Can coconut oil be used instead of the palm shortening/butter? I have a recipe like this from an Amish cookbook and I use extra virgin coconut oil to make it. I’ve used it in waffles and pancakes thus far. I works well. I love muffins and very versatile and can take quickly to a friends, gathering, church function. Or if like me..I took the last 3 banana muffins (the ones my hubby and sister didnt eat out of all 12), to my doctor. He is all about eating healthy and when I told him they were 100% whole wheat (that I ground myself) and had honey, no sugar, he was elated. Plus, I lost 8 pounds, told him from eating healthy, REAL FOOD, and trying to kick sugar for another substitute. I have been using this recipe for years. Except I use soft white wheat berries and I use homemade lard. I store mine in the fridge and it does just fine. I have used it for making a lot of “Bisquick” recipes. I really like doing the impossible pies and pizza bake. This is a keeper! Thanks! The cookies look really good. Thanks for the recipe sounds great. I am so excited about the fruit pizza recipe! I’m glad I found this. I’ve struggled to find a good (read: healthy) replacement, a mix with better ingredients than white, processed stuff. Thanks for sharing the recipes, too. It’s helpful to have “starter” ways to use this. We eat pancakes every Sunday. So I mix up several batches of just the dry ingredients and freeze them. Ready to pull out and just add wet ingredients. Super easy, healthy, and yummy. would you have any guess of what Gluten free flour to substitute? I would think a mixture but am afraid to try without guidence since that is alot of flour if it turns out not so good (speaking from experience;) I’ve also found that halfing new recipes is not always a good idea until you’ve tried the “real thing”. Any advice? Thanks for your help. I am very inexperienced with GF flours, so I hesitate to offer any suggestions. I wonder if you did a google search if you could find someone who has made something similar? Kamut flour is great for most – it does have gluten but a lot of people who are have trouble with (but not allergic) can use. I have used a similar recipe with kamut and it was great. We use kamut as our regular grain instead of the hard white wheat that Laura has as her regular. My kids like the whiter color of it. Hope that helps! I have a friend who has been gluten free for 5 years and can do kamut. They all look good,but since I have some extra strawberries lying around that I have to eat up quick I vote fruit pizza! The only thing I’ve ever made with Bisquick is sausage balls (sausage, Bisquick, cheese, milk). They’re quite a hit in my house, but I haven’t found a non-bisquick version. I wonder if this mix would work? Might have to try it! It makes awesome sausage balls! I always have to make a double batch. Never thought about making cookies with this mix…can’t wait to try! I vote for the cookies or the pancakes! All of them look super yummy though! I’m looking forward to getting the book when it’s ready! Can coconut oil be used in place of the palm shortening/butter? Yes, I believe that would work just fine! I have made a recipe like this for 30 or more years. I love it. Another reader mentioned the Impossible Pie recipes of which there are numerous. Impossible Taco Pie, Impossible Lasagna Pie, Impossible brownie pie…. 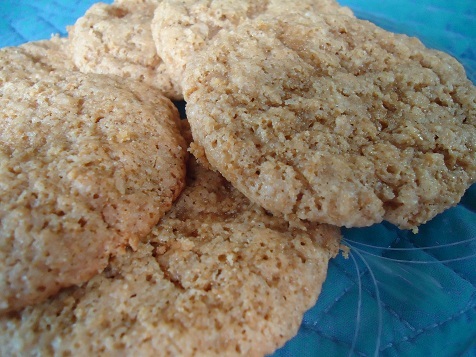 I have made them using the whole wheat baking mix substitute recipe. I have an old Betty Crocker flyer with a bunch of recipes. Very easy to healthy them up because the only “unhealthy ingredient” in most is the purchased baking mix. If you google Betty Crocker Impossible Pies you will see tons of recipes on the BC website. I make a similar recipe….but I use coconut oil. Love this recipe! I’ve made dumplings and Cheesy cheddar biscuits from this mix that my family absolutely loves! 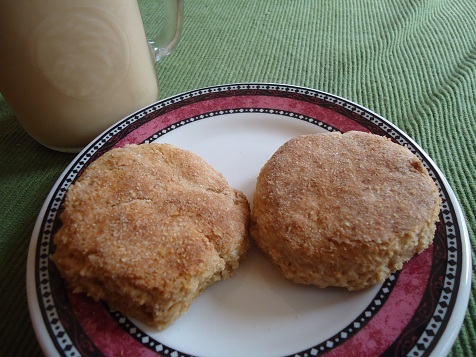 We use bisquick as a staple and I love the idea of at least a half and half with whole wheat (more than that the kids complain!) I vote pancakes or waffles as its Lent around here and we have no meat Fridays! What is sucanat? I don’t think I have seen that at the regular grocery like Agave nectar and other sugar subs. Can you just use straight up sugar in place of it? or is it something all together different. Any education on the matter would be helpful. I am trying to make little switches at a time for the family to adjust accordingly for costs as well as taste. But bisquick is a BIG use in our house (especially since I can use it with almond milk to accommodate food issues). What is sucanat and what could I replace for it? Also do you store this in the refrigerator or just the pantry? Sucanat is “SUgar CAne NATural” – an unprocessed sugar. You can use brown sugar to replace it. I store this in the freezer to keep the wheat flour from going bad too quickly. Pancakes or muffins sound good to me. Actually, everything sounds good. Thank you for all the “work” you’ve put into figuring this out. And to your family too for taste testing everything to make sure that everything turns out just right! I’d love the fruit pizza recipe…also looking forward to the new book! I have never used Bisquit Mix myself. I can’t wait to try it now. The recipes look great! Waiting anxiously for those!!! Your so awesome! I would love to try this! What is palm shortening? Have you tried it with butter or is that a suitable replacement? Thanks. I would love the cookies or pancake recipes, but it all looks so yummy it really doesn’t matter which one is picked. I will try them all. 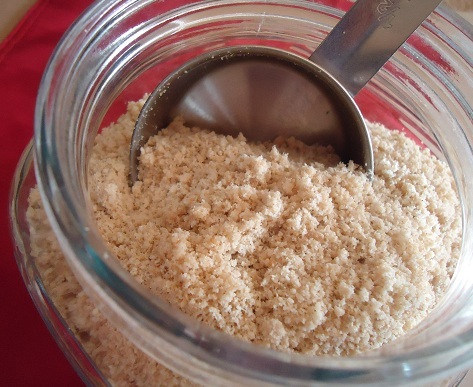 Is raw sugar equivalent to Sucanat? Oh, PLEASE do share the recipe for the vanilla cookies! I am loving my homemade vanilla I learned how to make from you. Homemade vanilla, homemade quick mix…could it get any better than that? Very vanilla cookies or honey cinnamon muffins! They both sound amazing!! Hi Laura. Like always, you have such wonderful ideas! I choose the fruit pizza, cookies, muffins, pancakes. lol. Ok, my choice will be the fruit pizza. I really would like to say how much of a blessing you have been. Love reading and learning from your blog. I have to vote for the cookies! I sure wish I had the recipe for the fruit pizza RIGHT NOW! I have some strawberries I need to use up. They all look yummy!! Mmmm the fruit pizza recipe looks especially tasty! Looks like I’m in the minority but we love biscuits here. :). Can’t wait for your book! I vote muffins or cookies first! Biscuits! I miss Bisquick biscuits! I had to restrain myself from licking the screen upon seeing the fruit pizza…but the pancakes would be awesome too! I would love your pancake recipe! What is the best way to cut in the fat? Would a food processor over-mix the mix (heehee)? Many thanks and blessings! Fruit Pizza please! :) and Pancakes! This mix looks awesome! Would also make a great gift idea to give to loved ones who aren’t sure how to make the switch to Real Food… Thanks, Laura! I know this is lazy but, if a recipe calls for me to “cut in butter” I just melt the butter and stir it in. Is there a downside to that? That’s typically how I “cut in my butter” when I make tortillas, so while I’ve never tried it in this recipe, I would think it might work. The fruit pizza looks so yummy!!! This mix looks very interesting! At present, I do very little baking but am planning to increase so…how long would you keep this in the freezer? Maybe I should do 1/2 and see how long it takes me to use it! Thanks for all of your recipes, information, and passion for cooking healthy for your family! What an inspiration! Do you think coconut oil would work in this recipe?? We love the taste and are trying to incorporate more coconut oil into our diets. Thanks for the recipe! Love your site!!! Yes, I believe it would work great! I was looking for a healthy quick mix that did not require refrigeration. If you use coconut oil, do you still need to refrigerate/freeze? Thank you so much for this recipe! I’ve been hoping you would make and share a substitute for Bisquick! There’s something in Bisquick that makes me feel sick, so I won’t use it. However, I’ve found some recipes that call for Bisquick that I’d like to try, so now I can, using your mix! Thank you again, so very much!! By the way, your emails are the ones I look forward to receiving the most of any, from almost anyone! Thanks so much for what you do for us! Looks fantastic! Question though…is there something I could sub in for the sucanat? Just trying to do this with what I have in-house versus having to buy new :). Thanks!! Just a quick question on why you used palm oil versus coconut oil? Are there more health benefits to using the palm oil? We are going to try coconut oil for the first time (thanks to your hint about the deal at Tropical Traditions!! Yeah! & thanks! )but have read many great things about it so we were just wondering about the palm oil too. Thanks! I find that palm shortening is easier to “cut in” to the flour mixture in this recipe, plus I just really like the results it produces when using palm shortening. BUT, I did want to make sure people knew that coconut oil did work if they had that on hand and wanted to try it! There are not any health benefits to using palm over coconut – in fact, coconut oil has so many health benefits that I usually promote that much more! But I use coconut oil in so many other recipes, so I know our family is getting plenty of its benefits. want to be sure that I am making the right choices! Thanks so much! I just have to giggle at this, I too have a friend in nursing school and the things she learns and tries to tell me I’m doing wrong are baffling. Seems like a lot of outdated wrong information is being taught when it comes to nutrition. We used coconut oil in this, and 2 Tbs of granulated stevia. The pancakes were a hit with my picky boys, and I can’t wait to try other recipes using this mix. Thank you! I haven’t tried it, but I believe that it would! 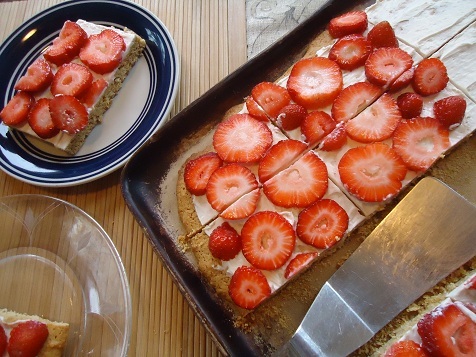 Ahhhh I was searching all over your site for the fruit pizza recipe (I make one that is yummy, but nowhere near healthy :-) and came back here to read again and saw that you haven’t posted yet LOL! I will check back :-) Thanks! Hi! I was wondering if the health benefits of the freshly ground flour are retained in the freezer (avoiding the deterioration of oxidization). I assume so, and I have stored small amounts of extra flour there. Sure hope so — the quick mix is a real practical idea! Yea! I resurrected our families’ favorite taco pie recipe that uses Bisquick. I quit using Bisquick years ago but am excited to begin using this homemade mix. My 16 year old , very picky, son made pancakes for everyone yesterday with it and the pancakes were a hit! Thankfully, we found after doing a gluten free experiment (and other testing) that he doesn’t have any allergies or food sensitivities. I’m not sure what flour would work to replace wheat in this recipe. I wonder if you did an online search if you might find someone who has put together a recipe like this that is GF. Hope so! healthy. How wonderful that you are doing this for your daughter. Palm shorting is shelf stable,as are all the other ingredients with the exception of the freshly ground flour. If I were to replace that with the dreaded white flour would I be able to keep this on the pantry shelf in an airtight container? If using store-bought already ground white wheat flour, would it still be best for it to be kept in the freezer or would the frig or cupboard be okay? Thanks for sharing your awesome recipes, your triumphs and struggles with trying to feed your family in a healthy foods, encouraging your readers to honor God and love your family… Not written in a specific reorder on my part! I typically use pastry wheat or kaput for a lot of my “baked goods”. Do you think either one of those would work for this recipe? Oops auto correct and not proofreading will get you every time. I meant trying to feed your family healthy foods.
. Plus, it should have been kamut not kaput! I wonder if this quick mix would be good with the pancake and sausage muffins? Yes, I think I need to give that a try for sure! do you have the recipe to cut this to a smaller portion? i wanted to make your muffins but didnt want to make a huge batch of this baking mix. it feels weird putting butter in a dry mix that i keep around? maybe im just not knowledgeable on this. And as for storage, you’re right that it’s not shelf-stable. Laura says to store it in an air-tight container in the freezer. Laura, do you think you could make this in the food processor? Or would the crumbs be too fine? I think that would be okay, as long as your food processor is big enough! I was planning on making a smaller batch to start. Thanks! Does the mix have to be at room temp., before using in the recipes? Hi! Can the quick mix pancake recipe be used to make homemade waffles? Laura, I don’t have a wheat grinder yet. Is the whole wheat flour in this recipe closer to, say, King Arthur’s white wheat flour, or regular whole wheat flour? I usually keep both on hand. Thanks! Can’t wait to try the mix. I made your mix today and used it in a family favorite recipe. It worked great! I put all the dry ingredients in my Bosch with the whisks attached, mixed them together and then began adding the palm shortening by spoonfuls. It incorporated it beautifully. It came out like light, fluffy brown sugar. It was so easy. I’ll look forward to trying some of your recipes with it. I want to make this but don’t have palm shortening and am not a fan of coconut anything…hate the taste. I figured on using my unsalted organic butter. Would that get to hard and clumpy in the freezer or do you think it’d be okay? Also are you using regular whole wheat flour or white whole wheat? Could I half and half it? I was wondering how long you can store this with the palm oil cut into it. Is there a powder “shortening” that we can use in the mix instead? that is healthy?? The palm shortening is shelf stable. It’s the whole wheat flour that should be kept chilled to keep the oils from going rancid. Using white flour, while it would not be as healthy a choice, would make it a more shelf stable product. About six comments back Kim says that the recipe can be quartered and halved (she even gives measures) so that you may be able to use it up more quickly. I don’t have room in my kitchen freezer for a canister or container but by putting the mix in a gallon zip-style bag it is easier to find space for it and still easy enough to spoon out. Sure, I’d go with sugar in the raw or brown sugar. I’ve made all of these recipes, using your Quick Mix. Every one is a hit and so easy to make! I use sprouted whole wheat flour and palm shortening. I add a little chia powder to the mix, right before making a recipe for added protein. Thanks so much! Can I use the same amount of store bought whole wheat flour? I do not have a grain mill and use King Arthur Flour White Whole Wheat. King Arthur flour should work great for this recipe! We love your new book, and especially this recipe:) Just wondering though, some of my children seem to “taste” the baking powder. Is it possible to use less? Also, which brand do you use? Thanks so much. You’d probably want to soften it or even melt it down first to make it easier. I use a pastry blender to “cut in” fats to my flour. The main thing is that you get the fat distributed as evenly as possible throughout the flour mixture. It takes a little time, but sure is worth the effort! I did it and made delicious muffins! Thanks! Can you use the Quick Mix to make waffles as well? I made a batch and have used some of it already. It was delicious!!! Side note: I don’t think my family has noticed that I no longer use or even have in the house white flour OR white sugar anymore!! Thank you so much for being so inspirational, Laura!! God bless you!!!! Ok, so in answer to my own post. :0) I whipped up a batch of waffles using the Quick Mix. THEY ARE AWESOME!!!! I played around with Laura’s waffle recipe. Mix well and cook in your waffle iron. A little crispy on the outside and light and fluffy on the inside make these super delish!!!! I made the quick mix a few days ago and went to make muffins for breakfast – the quick mix was really hard and lumpy. Should I have taken it out of the freezer ahead of time? Can you referee then if you take it out? Yes, I would take it out a little while before you need it. It would be fine to refreeze after that. Trying this quick mix to make zucchini fries and I’m adding some onion powder, garlic salt (powder or fresh), parsley flakes, dried basil, and some pepper. Then using an egg dip method, dipping zucchini in dry batter, egg, and back in dry batter. Then frying in coconut oil. We’ll see how it turns out. What setting do you grind your what at for this (bread, pastry)? I grind all of mine at 90 degrees – as in, my knob is straight up, right in the middle of finer and courser. I’ve never noticed much difference in the settings on my Nutrimill. Can I substitute All Purpose flour for Whole Wheat flour? Laura just wanted to let you know the print doesn’t generate the actual recipe. I know I totally can right it down, but like the clean look of printed in my binders. When I test it on my end, it is working for me. I’m viewing through Internet Explorer – not sure if that’s making a difference? I have been meaning to try this ever since you first posted it. Anything to save time in the kitchen and is healthy is worth a try. :) Thanks! I used this tonight to make Pasties, just added enough Kefir to get a nice dough they turned out great and I made one into a apple hand pie. Now I am out of mix so I better get to making more, and it makes some of the best waffles also using Kefir. Have followed you for a long time and notice that you always use the hard white wheat, which I do as well. 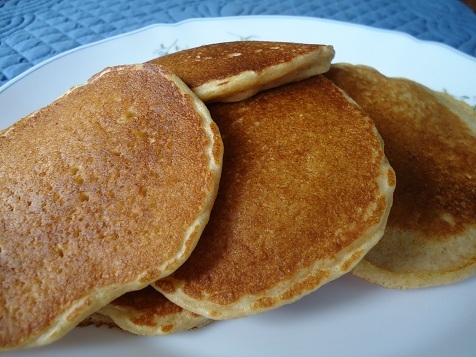 Recently I tried the soft white wheat for my pie crusts and pancakes, it worked really well. Have you have ever tried the soft white wheat? I just bought a 50# bag to grind myself, and am excited to see how it works in this mix. Laura has used soft white wheat before and it works nicely in this mix. Hi Laura, would vegetable shortening work just as well as palm shortening? I have organic vegetable shortening on hand that I just bought. Thanks! Can you use coconut oil in this mix instead of butter or palm oil? My sister and share a love for the easy and convenient healthy meals we can make with our ww “bisquick”. My husband just loves the apple pie made with apples from our tree that I have frozen in the freezer. We don’t have a favorite recipe just all that are made are delicious, all made with real foods that we know what they are and where the food came from. Hey Laura, I know in some spots you’ve said to substitute store bought ww flour for home ground flour at a 3/4 to 1 ratio. Would that adjustment be necessary here or in the other Quick Mix recipes? It made a HUGE difference in the sandwich bread, so I’ve suddenly become much more mindful of it! lol I just didn’t know if the yeast recipes were more sensitive to that variation that these quick bread recipes. Do you know if this whole wheat baking mix will work in regular baking mix recipes? The web has ton for regular baking mix, but not for the whole wheat. Yes, I believe it should work fine! I’ve used this in recipes that call for regular baking mix and it works like a charm. This mix is amazing. The biscuits were better than I expected. My family has enjoyed the pancakes as written and as “ultimate pancakes” modified as suggested on the bisquick box. We are trying the muffins now. Might have to try some of those zillions of recipes calling for bisquick next. Thanks for sharing this. And to anyone reading the reviews and trying to decide if they want to make this … go for it. What would be the measurements to make this for one recipe? 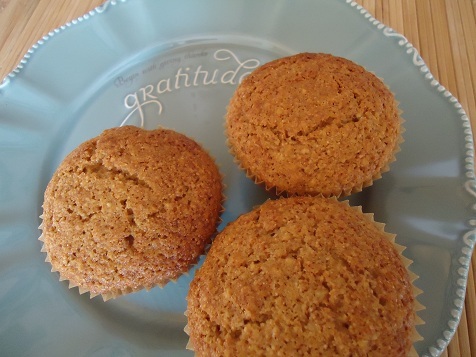 I would like to make the honey cinnamon muffins but don’t want to make a whole batch of quick mix. Can I substitute honey or maple syrup for the sucant? Same amount?